Last year I raced all three of the Frosty 5k races. It’s a great, fun series put on by Charlotte Health Fitness Magazine and proved to be a good warm-up for my 2008 triathlon season. This year, I had intended on doing the same thing. Keyword: intended. Last December, I had a tumble during the Run at the Rock race which caused problems with my left ankle and right IT band. These two issues, which are both tendon related, have proven to be slow to heal and a bear to rehabilitate. Since then, the ankle has gotten better, but has caused a bit of plantar fasciitis. 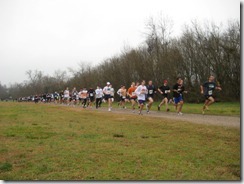 Since I had decided not to race in the first Frosty 5k in January, this made the second race, the official first race of my 2009 season. Since I am still dealing with the injuries, the second Frosty 5k at McAlpine Creek part would be a bit of a test to see how things are going. Even though I am swimming, riding and running as part of my training for the upcoming triathlon season, it is tough to judge how things are progressing, unlike throwing the “hammer down” in a race. 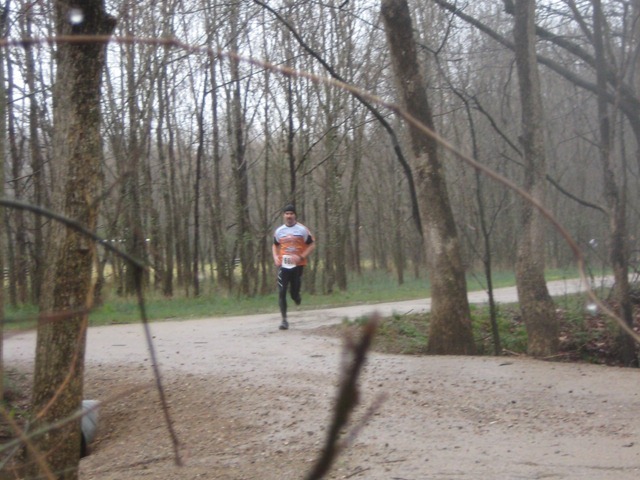 It was cold (around 45 degrees) and raining, not what MOST people would call ideal for racing. Raining and racing, to me, goes together like peas and carrots. 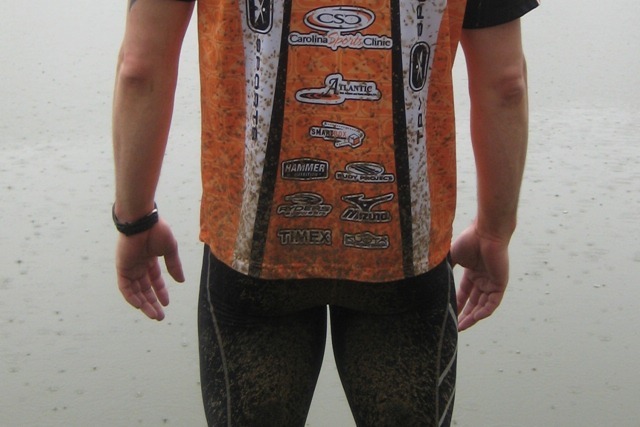 Add a nice muddy course to race and you have what I call a perfect day. Warm up went very well with no major problems to speak of. As I lined up on the start line, I could see Alba off in the distance taking pictures. I couldn’t believe she’d come out in the rainy, cold mess of a day just to support me for a warm up race. Alas, she was there. Also there were many other faces I see at other local races. Included in the bunch was the elusive Alejandro Arreola, who I had finished just behind in the October Susan Komen run. Many other familiar faces peppered the crowd that had come out in some pretty drab conditions. As we started, I settled into a decent pace, trying not to get caught up in the usual folks starting out way too fast. In the first quarter-mile, some guy sprinted past me in casual clothing and cross-trainer shoes. I figured he was a first-timer and that I’d be passing him back soon, and just kept my pace. Sure-enough, I passed him and many others in the first mile. Even though my pace seemed ok and conservative, I was still about 14 seconds too fast for the first mile. I should have conserved a little more to meet my overall time goal. I was shooting for negative splits and should have ran a little slower the first mile. However, the second mile had a decent hill and I thought I would make up for the time by the deficit caused with running the hill. 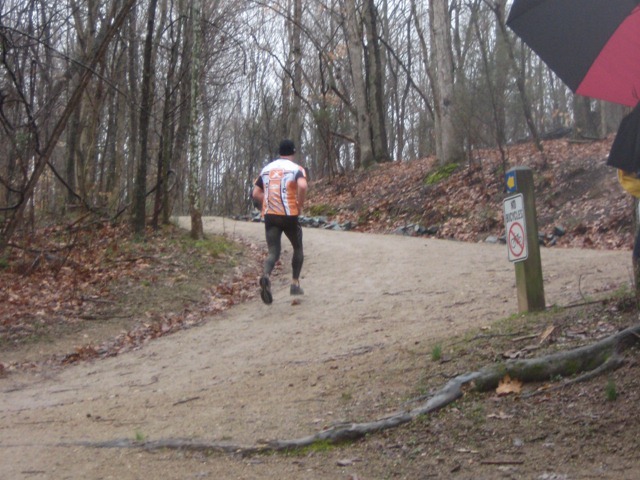 After the hill and passing the two mile section, I had lost too much time and was now behind my time goal. I could see a several guys within my reach and began to devise a plan on how I would reel them in. 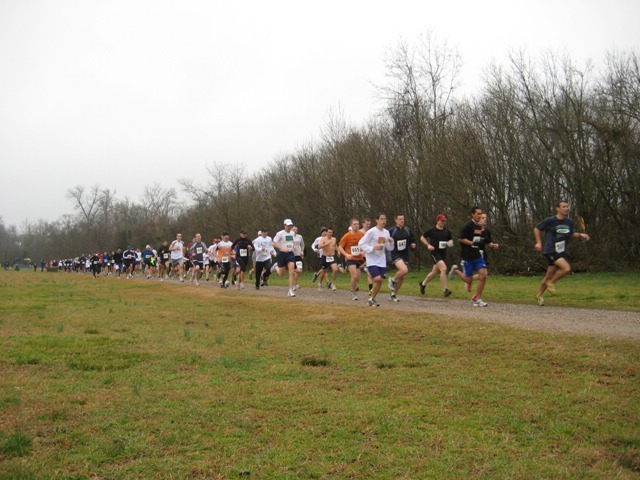 The last mile of the course proceeded into the woods and around a soccer field. I decided at which points I would pick up the pace and began to hatch the plan. By the time we made it back to the pond, that also lined the course, one of them was in reach. We had to make a lap around the pond just before the finish. At the far end of the pond, I passed one them. 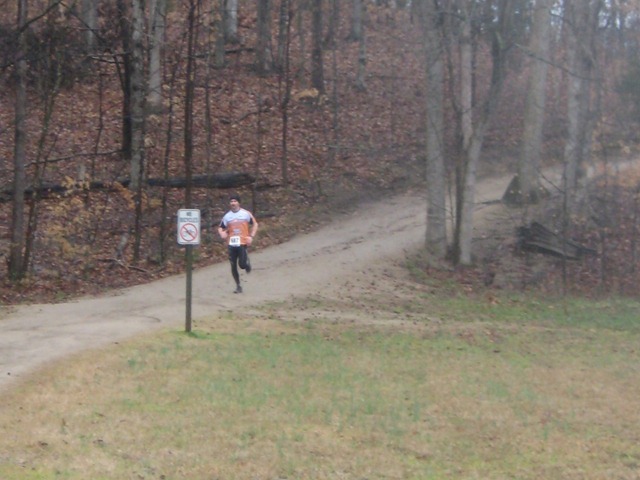 As I continued to increase my pace towards the finish, I caught and passed another one. I still felt like I could give it a little more and set my sights on one more person. The finish line was quickly approaching and I thought I could catch him as I increased my pace, but my attempt would fall short. The race results claim I was 18 seconds behind, however I was only 15 or 20 feet behind him. Since there were no chips being used for timing, I feel i was much closer than the 18 seconds that the race results claim. 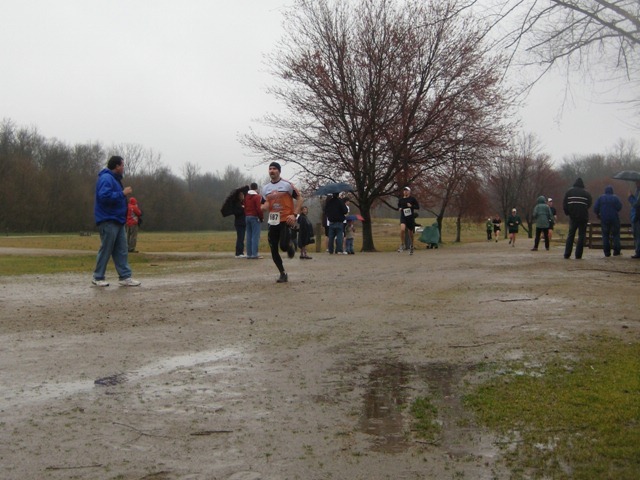 It was a great, fun, muddy race and even though I wasn’t satisfied with my 4th place age group finish, I was pleased that I had no problems with my injuries flaring up. Previous Post: Talking about Do infomerical exercisers work?